Some top predators in the Baltic Sea suffer from deficiency syndromes that are thought to be caused by low levels of pigments and vitamins. We study how these deficiencies arise. These substances are produced by bacteria and phytoplankton and are transferred by zooplankton to fish and birds. The overall aim of this project is to understand the factors regulating the transfer between trophic levels and to explore possible links between these processes and deficiency syndromes in top predators. We perform both field samplings and experimental studies. Pigments and vitamins are quantified with high-precision liquid chromatography (HPLC). Incorporate the production and transfer of pigments and vitamins into nutritional food web ecology. 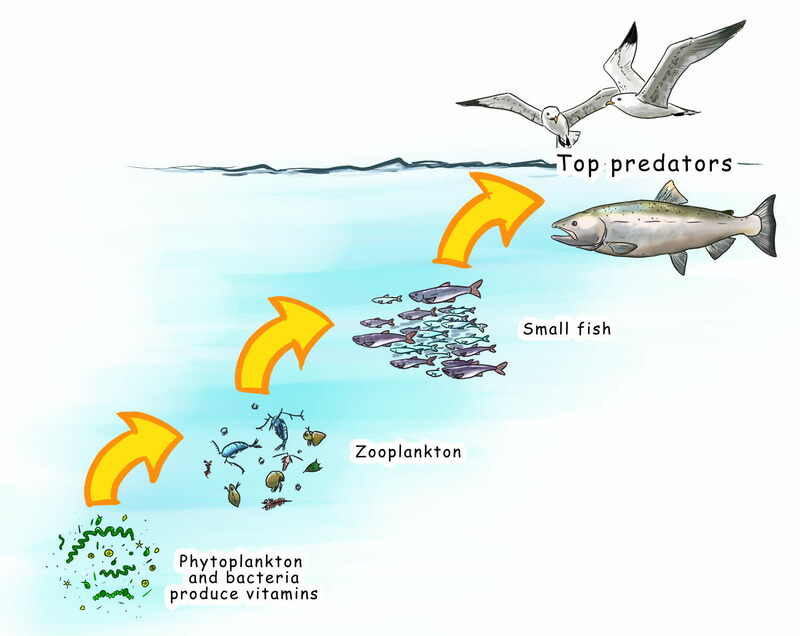 Understand the underlying trade-offs and factors involved in regulating transfer of pigments and vitamins from phytoplankton via zooplankton to fish. Prime zooplankton for the production of nutritious aquaculture fish. Predict changes in nutrition in the aquatic food web due to environmental threats such climate change. I will be able to understand which factors that affect the transfer of important biomolecules and hence the underlying mechanisms creating deficiency syndromes in top predators. The project is part of the research in the research group Zooplankton Ecology and in Linnaeus University Centre for Ecology and Evolution in Microbial model Systems (EEMiS).